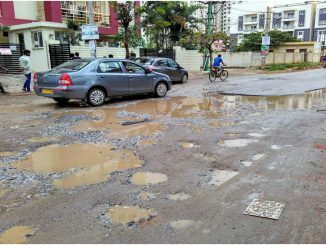 Lobbying with the Bruhat Bengaluru Mahanagara Palike (BBMP) to fix your road should not be fundamentally a different experience from shopping for a car. After all, you paid your taxes; you are simply asking for the tax money to come back to your locality. You pay for your car, you take it. You pay your taxes, you get your road. But it ain’t so in Bengaluru. Once you pay your taxes, power transfers to the government. That’s fine, if we have a benevolent dictatorship, but what we have is an incompetent corruptocracy (if there’s such a word). Quite aside from the structural issue of service-provider (i.e., the government) not being beholden to the customer (the common citizen), there is a purely financial matter: Not enough taxes are collected. The most remarkable thing to fall out of this is that our Ward 85 gets back only Rs. 133 per-capita of goods and services from the government. How in the world is this supposed to fix any pot-hole, keep clean any storm-drain, enforce any street law or maintain any park? For comparison I have inserted in the third column the amount expended by La Grove Owners’ Association (considered inexpensive on a per-square-foot basis) in order to maintain the roads and parks: Rs. 25,000, or almost 25000/133 = 190 times what the city pumps into our locality! There is no way in hell that the BBMP is going to `fix’ Ryan School Road (or for that matter, any one particular road that may be of importance to you). First of all, it has no money. Secondly, the BBMP has zero incentive to listen to citizen complaints. It is therefore established beyond reasonable doubt that local communities must care for themselves. The question is how. Each locality must form its own welfare association, which is an association of associations. This locality welfare association, which is roughly the same as the ‘Area Sabha’ of the KMC Act, must be funded by the local apartment/villa complexes, independent houses, shops and schools. Administrators of the locality welfare association will invariably be known personally to the residents; therefore accountability will be high. 2. Payments to vendors (eg, a road contractor) can be made on time and without corruption, since the vendor’s service quality will directly affect the administrator’s living standards and community reputation. 3. Repairs can be made on time, so that a small pot-hole doesn’t enlarge into a huge one, as it does now. 4. A city government (eg, BBMP) that wants to dig up the roads or otherwise damage parks or some other communal property will need to take permission from the locality welfare association, as it is the local citizens who have invested money into the road’s upkeep. In this way, the city government becomes answerable to the people — true democracy, not the superficial democracy of the hustings. 5. Money is freed up for the BBMP to look after arterial roads, flyovers, metro construction etc. 6. 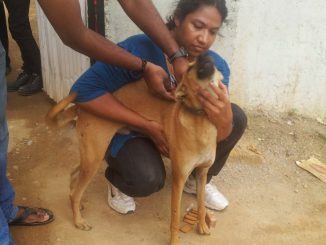 The locality welfare association itself can be a platform to enforce rules and to resolve internal disputes amongst the residents. 7. Technical problems of every type (electricity, sewage, segregation …) as pertains to the locality can be sorted out by one decision-making authority, instead of the present jurisdictional confusion (BBMP lays a road, BESCOM digs it up, BWSSB makes the mess complete). A side-question is: How come there is a major difference between the per-capita all-Bangalore figure (Rs. 5,000) and the per-capita Doddanekkundi-only figure. After all, in an ideal world, citizens should get back in services exactly what they paid in taxes, so that the Doddanekkundi-only should be at least comparable to what has been spent in all-of-Bangalore. The explanation (I think) is that the all-Bangalore figure includes expenses (e.g., arterial roads, the metro, debt-burden etc.) that indirectly benefit ward residents also. Nevertheless, the fact remains that as far as local infrastructure is concerned, we’re collecting (and getting) peanuts. Note that of the Rs. 133, significant amounts are siphoned off by corrupt babus and netas. So what hits the ground on an annual basis is in the range of 10-50 rupees per capita! The important difference is that the KMC act does not specify that the Area Sabha be funded by the local people; if anything the KMC act’s Area Sabha gets its funding from the government — a critical defect, in my opinion, that makes the Area Sabha beholden to the government, not to the local people. [i] The Janaagraha source document states that the budget per-capita for 2012-13 is Rs. 11,276, but that actual receipts are about 4/9th of the budget. Hence I have taken per-capita expended as 4/9th of 11,276, which is about Rs. 5,000. [ii] The Janagrahaa source document states that Doddanekkundi received Rs. 0.84 crores and has a population of 63,083. This works to a per-capita expense of Rs. 133. [iii] For the year 2012-13, the average househould at La Grove paid roughly Rs. 1 lakh in maintenance expenses, which works out to Rs. 25,000 per capita, assuming four members per household. Whom I should complained on my road condition, am from DB.Sandra, Vidyaranyapura, my minister is Krishna byre gowda. What the procedure to complaint. My locality is under BBMP but so far it is mud road instead of Tar/Cement, not even once they put. can I know his facebook/number or any other mode to take BBMP to take quick action.